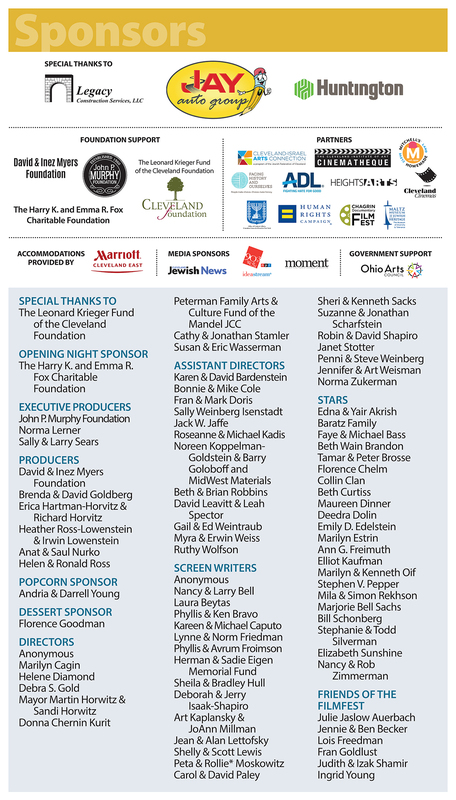 The acclaimed and popular Cleveland Jewish FilmFest is now in its 12th year. Each year, the FilmFest features a tremendous lineup of international films and special events for all ages. The festival offers a broad selection of feature, documentary and short films with Jewish themes that screen at local theaters and venues including Shaker and Cedar Lee Cinemas. Include a self-addressed stamped envelope if you would like the film returned.